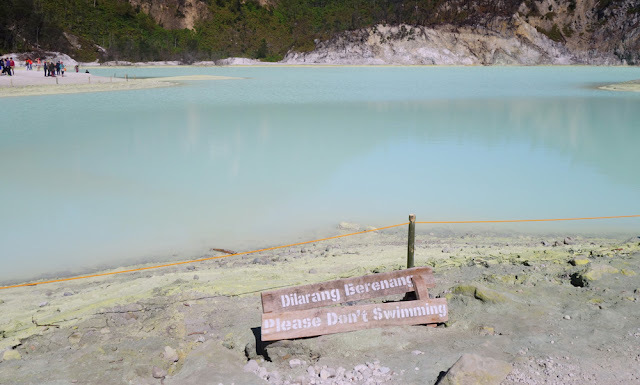 Despite being born in Bandung and having lived there until I graduate from the university, I have never visited Kawah Putih (Oh shame on me!). 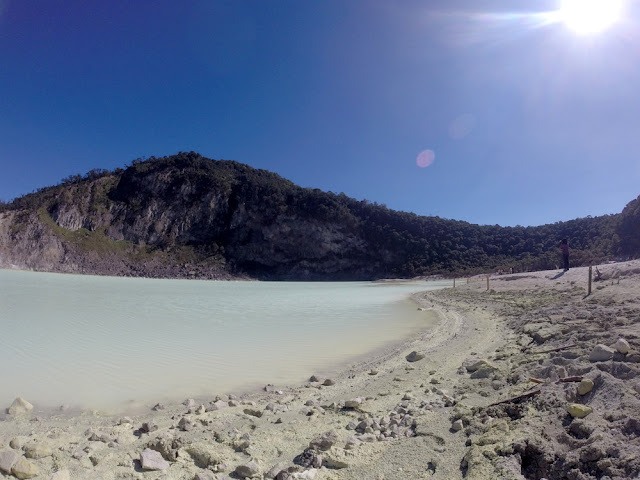 So on a weekend, I and mr.husband visited Kawah Putih, after dropping off our Kiddos at their grandparents' house. They wanted to see their grandparents straight away, so I and mr.husband decided to have a date. 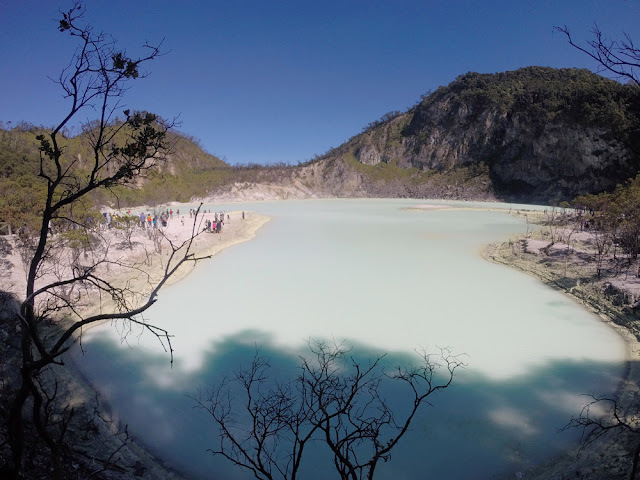 When we reached the place and seeing the beauty of Kawah Putih, I asked myself, "Where have I been?!" Kawah Putih is amazingly beautiful. 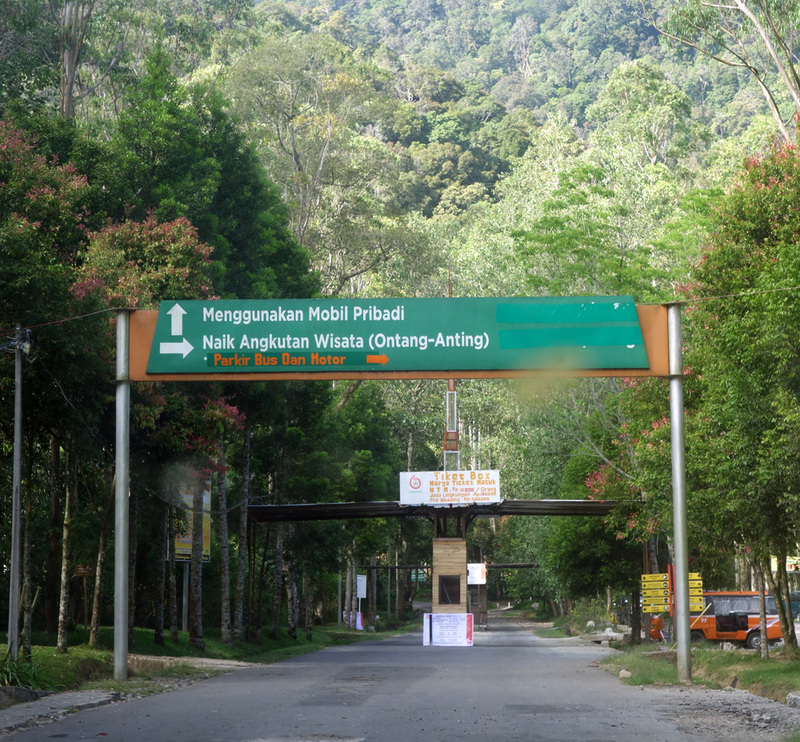 We left our house in Bandung around 8 am, and head to the toll road, exit at Kopo. 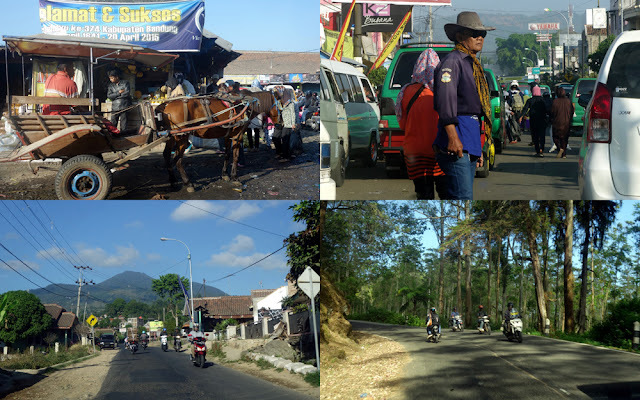 Then we head to a city called Soreang, passing a busy market, which of course caused a traffic jam. After Soreang, you will reach Ciwidey, a small town with so many restaurants and hotels. Usually tourists are staying overnight at Ciwidey if they wish to enjoy Kawah Putih and its surroundings. 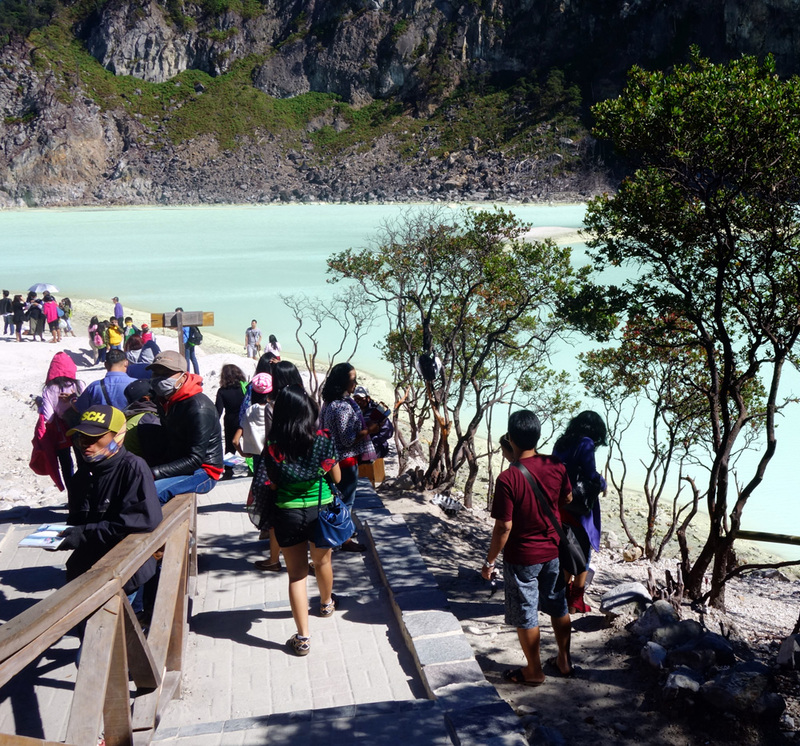 Finally we reached the gate of Kawah Putih, had to pay IDR 18,000 for the entrance fee (per person). 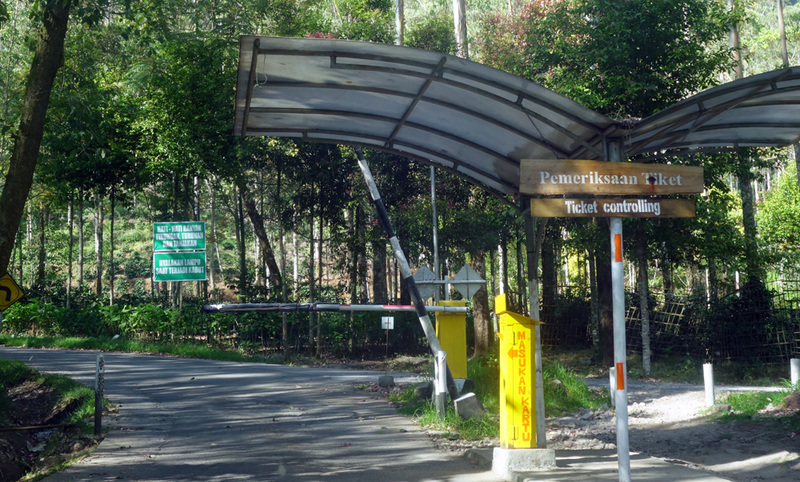 In addition to that, we had to pay a ticket for our car amounting IDR 150,000. Oouch!! So expensive! When I said that the total ticket price was way too expensive to mr.husband, he said it was still cheaper than the ticket price to Kalbarri National Park we visited in Western Australia. Well, ok then. I guess that's why Men are from Mars, while Woman are from Venus. 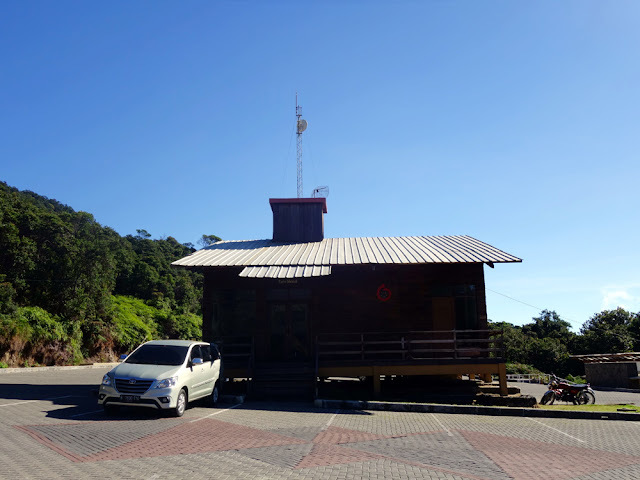 After passing a hilly road (Thanks God we decided to take our own car, it will be a bit scary to go up the hilly road with a half "open air" public transport), we reached Kawah Putih parking station. 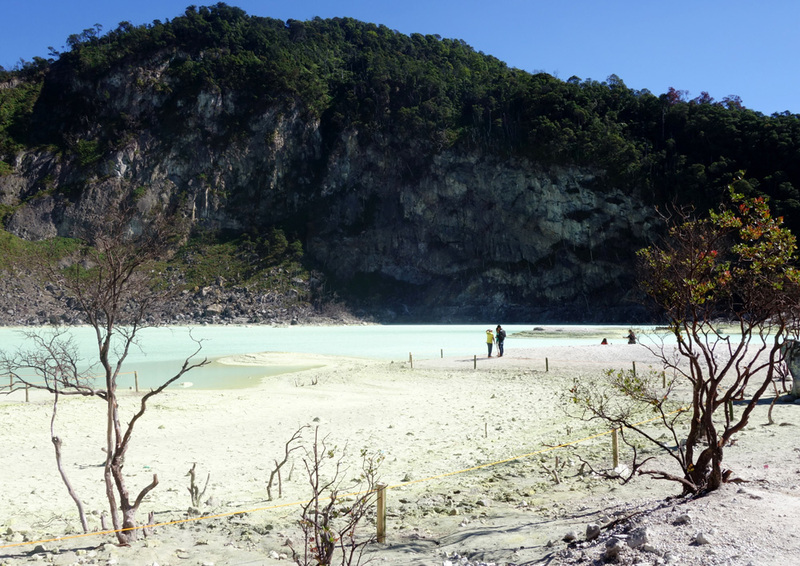 Of course enjoying the scenery is on the top list of things to do in Kawah Putih. But be aware of the air which contains sulfur. There's a notification before you enter the crater area. Please read it carefully. 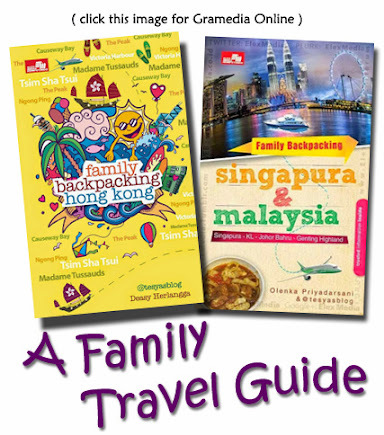 Extra care should be taken if you take your children with you. We went down the stairs directly with other tourists. And when we saw Kawah Putih from a distance, we thought that the expensive car ticket we paid was well worth it! 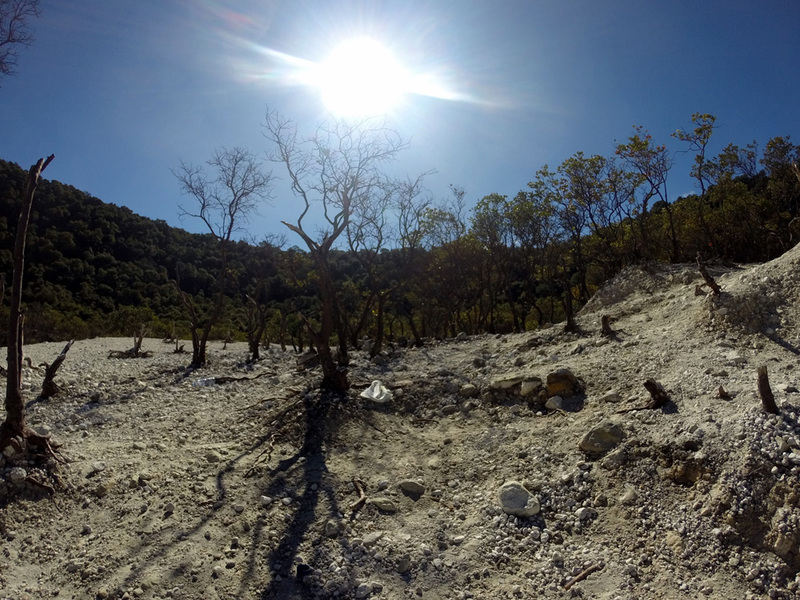 Here's some shoots of Kawah Putih that mr.husband took from the crater area. 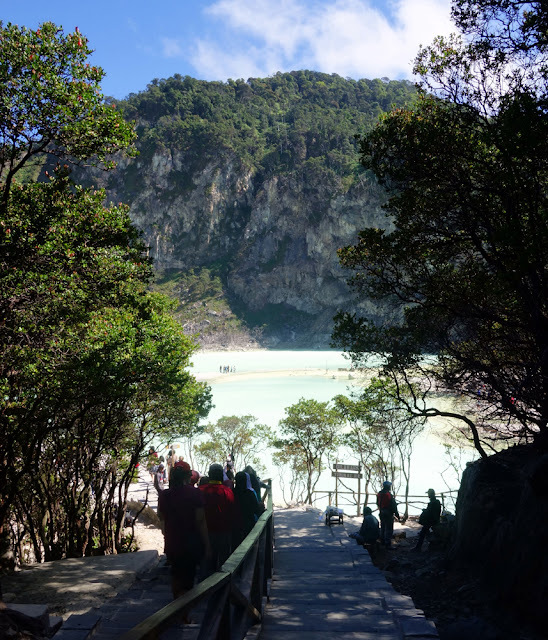 This place was really photogenic, no wonder many couples took their pre-wedding pictures at Kawah Putih. 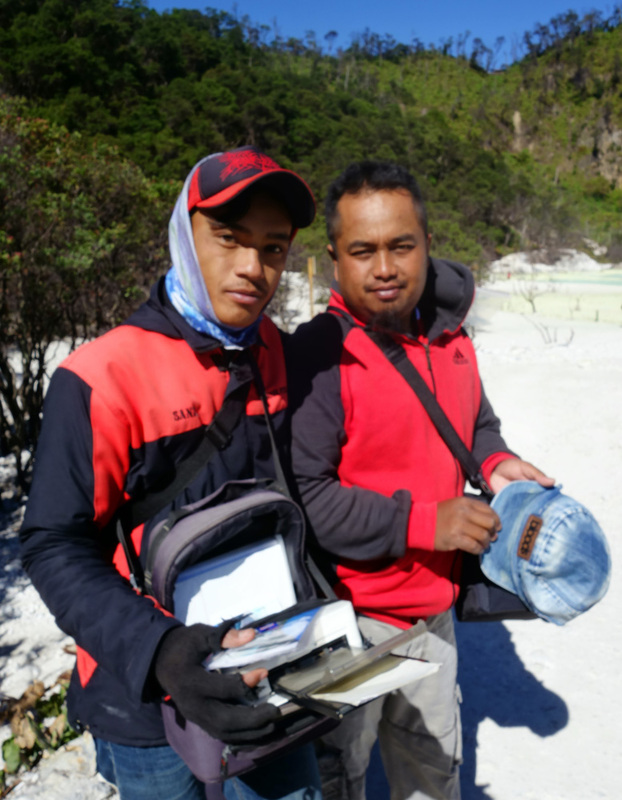 There are many photographers who worked at Kawah Putih. They also have the portable printer with them. They are ready to take your pictures! We also went to the lookout on our way going back to the parking place. Actually it's a shelter for older people who couldn't go down to the crater area. 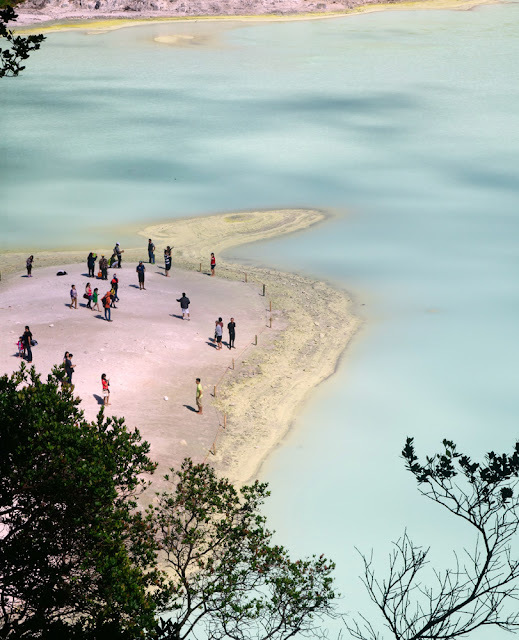 Another beautiful view of Kawah Putih was taken from the lookout by mr.husband. The beauty of blue water at the crate was so inviting to swim! Haha, but there's a warning for everyone. 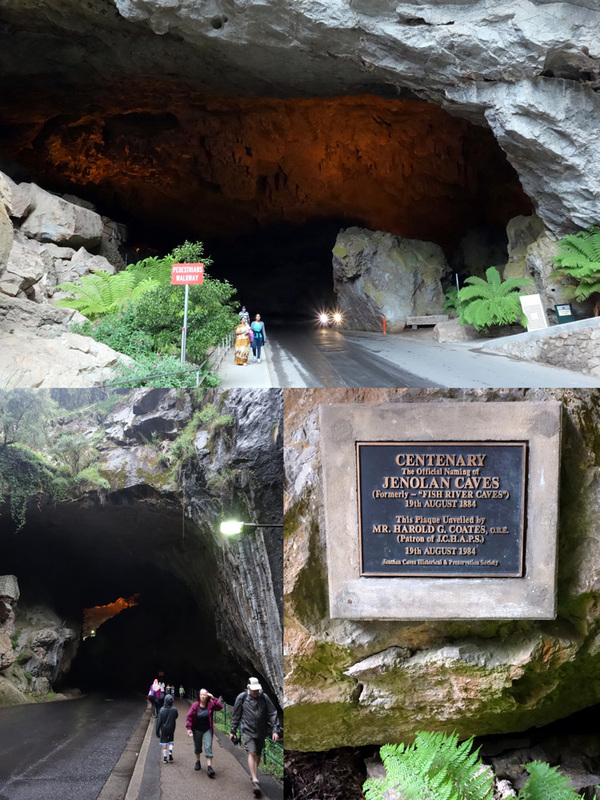 A very nice place to getaway from Jakarta and Bandung, next time I would like to stay overnight at Ciwidey, and visit Kawah Putih again with our Kiddos. They have to see the beauty of Kawah Putih as well. 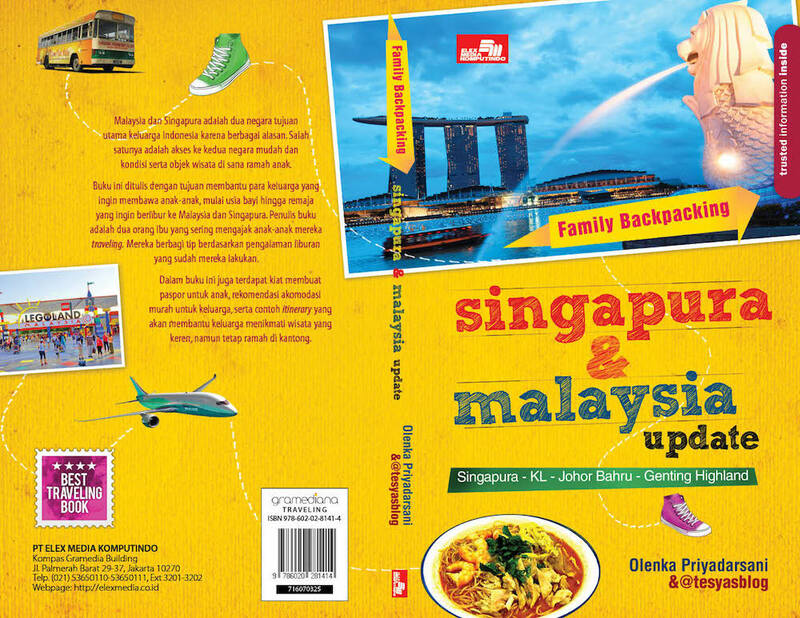 Udah pernah berkunjung ke sana belum Mba? 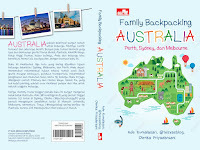 Iya, bagus banget, pengen nyemplung rasanya hehehe..
Iyaaa! Tapi kalau terus terawat sih real deh bayar mahal. OMG, dulunya cuka Rp 5.000 buat mobil? *gigit jari! aku dulu pernah ke kawah putih pas masih murah banget mbak, bawa mobil sendiri ke atas dan STUCK dong karena macet, kebayang kan jalan sekecil itu dan nanjak pula, ini karena mobil pribadi membludak pada mau parkir ke atas..
Nah pas aku kesitu lagi harga parkir udah 150rb aja kalo ke atas, dan akhirnya pilih naik ontang-anting itu..karena lebih murah haha..dan bener rasanya kaya naik wahana ekstrim di dufan hihi..udah ngomel2 aja tuh, eh tapi dengen supir ngobrol kalo semenjak diberlakuin gitu jasa mereka jadi kepake dan ada pemasukan buat mereka..aku jadi malu sendiri deh -__-"
Btw, aku tuh enggak ngeh kalau ada ontang-anting, jadi pas diminta bayar 150 ribu, bayarlah kita. Dan baru liat deh tuh ontang-anting. Tapi kan aku ke sana pas musim kemarau, debu banget, jadi bersyukur bawa mobil. Hallo Mas, iya memang papan peringatan nya enggak boleh lebih dari 15 menit ya. Tapi kemarin lagi enggak terlalu bau, jadi kita survive walaupun di atas 15 menit hehe.